Police searching for missing EastEnders actress Sian Blake and her two children have confirmed three bodies have been found at her family home. Scotland Yard has opened a murder investigation, and have also made a renewed appeal to trace her partner Arthur Simpson-Kent, who is believed to have been missing since December 16. Blake, who played Frankie Pierre on the BBC soap between 1996 and 1997, was last seen on Sunday, December 13 in Waltham Forest along with her two young children Zachary, 8, and Amon, 4. "Sadly, as part of a thorough forensic search we are carrying out at the family's home in Erith, we recovered three bodies from the garden of the property," said Detective Superintendent Paul Monk from Homicide and Major Crime Command (HMCC)​. "As yet, we have not formally identified the bodies but this is of course a significant development and Sian's family have been informed. "This continues to be a fast moving investigation and our thoughts are with Sian's family at this time. "We continue to appeal for any information that could help us trace Sian's partner Arthur Simpson-Kent. If anyone has any information about where he is or his movements since 16 December, then please get in touch with us. "I would also like to ask anyone who may have seen Sian and her children, or who may have information about their movements since the last confirmed sighting on 13 December, to call us. "This is now a murder investigation and as such I'd urge anyone who can help our investigation to contact us on 020 8721 4805." 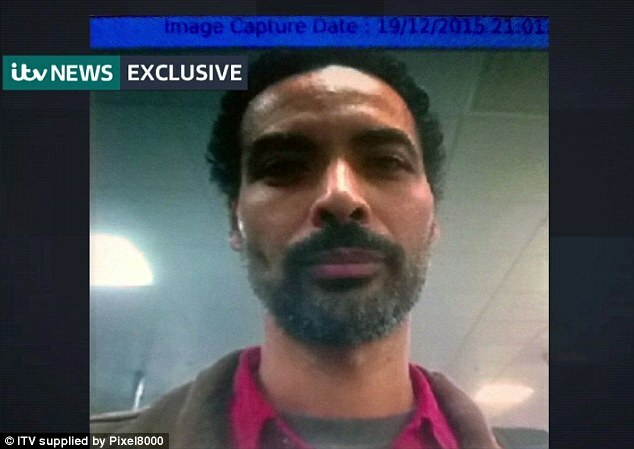 The suspected killer of former EastEnders actress Sian Blake and her two sons has been arrested in Ghana. Arthur Simpson-Kent, 48, was armed with a 'knife and a spoon' when he was detained in the coastal town of Takoradi, 150 miles from the Ghanian capital Accra. He was tracked down by Ghanian detectives after leaving the UK for the west African country on December 19. He has been wanted since the bodies of Ms Blake and their two sons Zachary, eight, and Amon, four, were found on Tuesday buried in shallow graves in his family's back garden. Four Met officers had also travelled to Ghana as part of the investigation. The hairdresser and former model arrived in the capital city Accra on December 19 - three days after police questioned him at the family home in Erith, Kent. Officers plan to drive him back to the capital city Accra as soon as possible. The "monster" partner of a former EastEnders actress will spend the rest of his life in prison for killing her and their two children after he found out she was leaving him. Arthur Simpson-Kent used a small axe to hit ex-soap star Sian Blake and their two young children, Zachary, eight, and four-year-old Amon, on the head and knock them unconcious. All three were then stabbed in the neck or throat before he wrapped their bodies in plastic and buried them in shallow graves in the garden of their dilapidated home in Erith, Kent. The former hairdresser and model the painted the walls of the bungalow to cover up splatters of blood before fleeing to his native Ghana. He was tracked to a coconut plantation weeks later and told cops Sian had asked him to end her life and he'd ran away to kill himself. There were tears in the public gallery as Mr Justice Singh said he had been left "in no doubt" that the part-time drug dealer should die in prison. Handing down the whole life sentence, he told the court: "The evidence is inconsistent with any thoughts Sian Blake wished to have her life terminated or agreed for Arthur Simpson-Kent to take her life. "The manner in which the defendant killed his victims is truly horrific." He told Sian's family: "Nothing I say can begin to compensate for their tragic loss but I offer all my sincere sympathies." As the impassive triple-killer looked on, the judge told the court: "In my judgment this was indeed a case where each murder involved a substantial degree of premeditation or planning. "At the very least that must be true of the murder of each of the two little boys individually, and in turn after the defendant had already killed Sian Blake. "Further, and in any event, there were serious aggravating features of this case. "Each of the victims was particularly vulnerable because of age or disability. There was an abuse of position of trust. There was concealment of the bodies. He made efforts to remove evidence of his crimes at the house, including repainting. "He sought to lay a false trail by using Sian Blake's mobile phone. He lied to the police and others about the whereabouts of the family."